i-Lipo uses a FDA approved technology that targets specific parts of your body where fat has built up. The treatments are generally 20-30 minutes long, but the key is to include some cardio the same day at your earliest convenience. The laser treatment liquefies the fat content in the cell and through ones natural excretion system one expels the fat. One can get results similar to liposuction without the down time. Stars across the country are flocking to do the treatment. This recent article shows how Jessica Alba Gets Rid Of ‘Stubborn Fat’ With Laser Liposuction! How comfortable is i-Lipo ? Generally one is reading, sleeping or texting while under the laser. i-Lipo is so comfortable that there is only minor sensation to the body once the pads are placed in position. This is truly non invasive, there are no needles, no cuts, no bruises. Visit www.fremontlasermedspa.com to get more information. Most people can utilize i-Lipo. i-Lipo is not used on the breast and certain people with certain medical condition should not use i-Lipo. The laser can be used by both men and women. i-Lipo is a safe and effective laser. Visit www.fremontlasermedspa.com to get more information. Independent clinical studies to date have shown i-Lipo to be absolutely safe and effective. 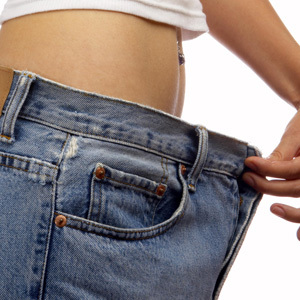 The body goes through a natural process to lose the weight and inches. There is absolutely zero damage to ones cells. The only thing that actually happens to the cells is that its size shrinks to look like a raisin. In order to have sustainable inch /weight loss over a prolonged period of time, one must maintain a healthy life style which consists of a healthy diet accompanied by an exercise regiment. How soon i can see results? There is an improvement with each treatment. One can lose 5 – 35 inches overall. One must do the entire sessions of recommended treatments to obtain dramatic results. A natural product that gives exceptional results. No one has to know that you are dieting. Just peel the patch and apply it to your belly button. The patch needs to be on for 12 hours. This product is so great that it not only controls your hunger but also does not allow the absorption of grease, carbohydrates and sugar into the body. If one follows the recommended diet one can lose 6-14 pounds a month based on ones metabolism. This also makes the inside clean as it helps in detoxification process. The magnet in the patch produces magnetic waves which pass through ones meridian point. The magic of permanant sustainable weightloss is hidden in regimentation of ones life style. Healthy eating habits which inccorporate small portion sizes of the right kind of foods and exercise. This is one of the only weight loss program of its kind in which we guarantee your weight loss.One must understand that no two individuals are the same thus we creat a personalized plan for each patient joining the program. At Fremont laser med spa our emphasis is on empowering you with the right tools to reach your wellness goals . ::Access and help you reach your goals. :: You get personalized plan. ::You must come to the clinic for a full check up once a week . ::During your weekly visit we check your blood pressur,weight,pulse ,urinetest and give you a long acting b/12 shot. :: The program helps you to have more energy. ::You also get to know about our fat liquefying lasers ( i-lipo,illumiwave,Arasys , etc ). Here you get all the support you need.